Monica Marquez left Texas in search of a place where she could better blend in. Despite all she had accomplished (including a bachelor’s degree of science and a master’s degree in education administration) the guarded conversations and fear of being exposed had become stifling. So she moved to New York with the hope that she and her partner, Alaina, could live with a bit more subtlety. Almost 2,000 miles later, the women realized how universal the struggle for gay professionals is. companies, do not have the same experience. The banking and financial industry has historically been a leader in the relatively short lifetime of the movement for sexual orientation and gender identity respect. The Human Rights Campaign Foundation’s 2014 corporate equality index ranked the industry second for the number of perfect ratings its member companies earned for LGBT equality. (Bank of America was among the perfect scorers in 2013 and 2014.) Despite those positive trends, The Power of “Out” 2.0: LGBT in the Workplace, a report by the Center for Talent Innovation, found in 2013 that 41 percent of American LGBT workers remain closeted in the workplace. That leaves much work for Marquez and like-minded allies in the movement to create supportive environments for LGBT professionals. She and other Latinos made some big progress in 2013 at the ALPFA convention, which hosted the organization’s first panel on LGBT topics in the workplace. What started as small talk between Marquez and former ALPFA CEO Manny Espinoza, developed into an official initiative to educate Latinos and other professionals about being gay in the workplace. “From a cultural perspective, Latinos tend to be conservative,” says Marquez, so the Latin-focused professional development organization had to address both mainstream and cultural notions. The inaugural panel focused on breaking down barriers to communication between LGBT employees and their colleagues, as well as capitalizing on the strengths of the LGBT experience. The panel made its return in 2014 with standing-room-only attendance. Marquez moderated the panel for the second time. It included representation from Hilton Hotels and Resorts and the Federal Communications Commission speaking about being comfortable and confident in oneself and being an effective agent for change. The topic of discussion was being able to bring your whole self to the job in order to integrate into the workplace. The Power of “Out” found that being open about one’s sexual orientation allows LGBT professionals increased productivity, business opportunities, and leadership platforms and creates trust among their coworkers and managers. “When an employee is not being their whole self and is uncomfortable sharing about themselves,” says Marquez, “managers may think that there’s something off and mistake that as a lack of trust.” The panelists shared their personal experiences reflecting these findings. At Bank of America, the Ally Program has earned praise by the National Business Inclusion Consortium. Allies (those who are supportive of and accept all teammates or who personally advocate for LGBT inclusivity) display a tent card demonstrating their visible support for their teammates. Featuring allies and out employees across the company, a YouTube video the program produced in 2013 shares the testimonials of employees who have felt the benefit of the bank’s open and accepting culture. 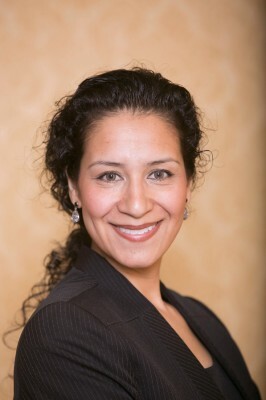 EDITORS NOTE: After time of press, Monica Marquez accepted a new position as west region diversity inclusiveness and flexibility leader for Ernst & Young LLP. “As Ernst & Young LLP’s West Region Diversity Inclusiveness & Flexibility Leader, Monica Marquez develops and implements the firm’s diversity and flexibility initiatives and enhances efforts to attract, retain and promote a diverse, inclusive workforce,” Ernst & Young states. Hispanic Executive congratulates Monica Marquez and wishes her all the best in her new role.